Late 2015 I started to set up this website. I looked around the internet to find information about mixed gender and women-only Freemasonry worldwide. Since then I only now and then ‘discover’ an organisation that I hadn’t listed. Recently I had to update the page about Canada, because I hadn’t heard of the Grand Orient du Québec. In 1773 the Grande loge de France went through a profound transformation. It embraced laïcité as a core value. There is no word for it in English but it’s like stricter secularism. It means that government must not touch religion at all instead of simply being neutral. This means that politicians aren’t allowed to say God bless and be seen with religion in any way. It’s a very important French value since the revolution. It also removed the requirement of believing in a supreme bein, allowed women to join, and democratically elected it’s grands maîtres. Because of all those changes it renamed itself. It was of course opposed by other Masonic organizations that did not like those changes. It is a progressive, laïc, mixed-gender, republican (as opposed to monarchist) organization. Maybe you heard about it under the name French Rite? It is the largest Masonic entity in France. The Grand Orient du Québec (GOdQ) was founded by members of the Grand Orient de France (GOdF). We’re unfortunately a minority here as most of the lodges in Quebec are Anglo-saxon. The Grand Orient du Québec has two lodges in Montréal, both with with another ritual and a study lodge. You can find their website here (which is in French). So now you also heard about the Grand Orient du Québec. Join us on Reddit to ask your questions about it. I usually don’t watch podcasts and the like, but I happened to stumble upon an episode of Phoenix Masonry Live that had an interview with the most recent Past Grand Master of Le Droit Humain USA. This is quite an informative interview and it was done by a woman named Elena Llamas who proves to be a member of that very society and who on her turn had been interviewed on the Masonic Roundtable which is also quite informative. Earlier Masonic Roundtable had an interview with two prominent members of The Honorable Order Of American co-Masonry. I will embed the three podcasts below, but first I will note some of the notes that I took while listening. In the interview with Randy Czerenda the rituals of LDH are spoken of. According to Czerenda the American federation has three rituals that the lodges can choose one from to work with. They are Lauderdale, Georges Martin and the North American Ritual. In 1903 the first American lodge of LDH was founded in Pennsylvania. It used the Georges Martin ritual which Czerenda describes as “continental”, but also as “not secular at all”. It is not secular, because it does not tell its members what the symbols mean. There is a Grand Architect of the Universe. The Lauderdale Czerenda compares to Emulation, but slightly reworked. He describes it as “baroque”. It also has a Grand Architect, but contrary to the other two rituals, there is also reference to “God with a capital G”. The third ritual, the North American Ritual, is (more or less) a combination of the other two and it is the most used in the USA. You can find this part from around 50:00 in the video below, but the whole video is interesting if you want to learn about LDH and how it differs from “mainstream” Freemasonry. To continue with Elena Llamas. In her interview at the Masonic Roundtable (episode 135) she proves less informed than Czerenda, but still this interview is very interesting. The rites in the USA are shortly spoken about from 24:30 on. She says that there are 22 lodges in the USA and the form of the “triangle” appears to be not just a lodge in the making in the American federation. Llamas is asked about the differences between LDH USA and the Honorable Order of American co-Masonry. She notes a few. In American co-Masonry all members are “Brothers” as they use it as a title. Also they only work with the “Annie Besant Ritual” and this Theosophical leaning also shows in the fact that all lodges have an image of the Count de Saint Germain above an empty seat in the North of the lodge. This count is regarded “The Head Of All True Freemasons”. In LDH the portrait is allowed, but not inside the lodge. Lastly, American co-Masonry requests the belief in a higher power of its members, LDH does not. What is also an amusing part of the interview is that when Llamas is asked how long it takes to proceed to the 33rd degree, she says “25 years” which is received with amazement and applaus. The Roundtable always takes some time to get started, but from about 11:00 it starts to get interesting. The episode about American co-Masonry is number 76 and can also be found below. (or click here if you prefer to go to YouTube). I just stumbled upon Karen Kidd’s “blog” and noticed that her organisation, the Honorable Order Of American Co-Masonry” changed its name to the Honorable Order Of Universal Co-Masonry. 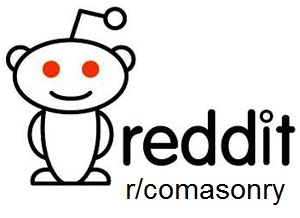 I have made the needed changes on this website. One of the makers of Terra Masonica informed me about a documentary about Le Droit Humain. The title of the DVD and the website are in French, but I decided to order a copy. When I got it, I noticed that the information on the box is in French, Spanish and English and the documentary proves to be available in these languages as well. Only now I see that the website is available in all these languages as well. A minor note about this English language though. It is English that often sounds as if a French(wo)man not mastering the language is reading from a piece of paper. There are quite some interviews in the documentary and the English speaker is put over the talking interviewee. It sounds a bit silly and perhaps subtitles would have been a better idea, but I appreciate the effort of making this documentary available to a larger audience. Doubly so because I expected a documentary in French. The documentary feels a bit one-sided. 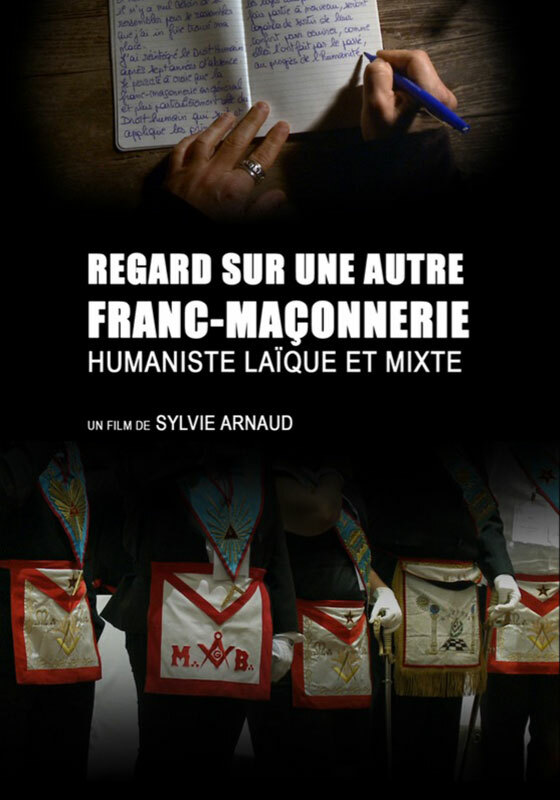 It is presented as a documentary about Le Droit Humain, but in fact it is mostly about the French approach to Freemasonry. The subtitle of the documentary is: “humaniste, laïque et mixte”, or ‘humanistic, secular and mixed’. “Laïcité” is an often returning notion within French Freemasonry at large, but the largest spread of Le Droit Humain was when Annie Besant started to found ‘theistic’ (and Theosophical) lodges. Many federations of Le Droit Humain have lodges working in different Rites than “secular” ones. That said, the documentaries has some history of Le Droit Humain either shown by actors that are put in classical drawings, the reading of texts of Marie Deraismes and Georges Martin and through interviews. The documentary of about an hour is divided into chapters about the subjects in the subtitle, but also subjects such as Freemasonry during WWII (not specifically about LDH) and charity. The people who are interviewed range from members to chairmen and -women of lodges and umbrella organisations. They tell personal stories about their initiations and thoughts about Freemasonry, but there are also some ‘bigger stories’. A good choice is the mix of people. One is quite harsh towards men-only Freemasonry, another a feminist, the next anti-clerical; but there is also a Catholic woman who chose for a “secular” lodge and a feminist who preferred a mixed gender lodge over a female only one. The interviewees and places where was filmed are from France, but also Southern America. You also get to see some temples, sometimes empty, sometimes with Masons in full dressing, sometimes even ‘in action’. 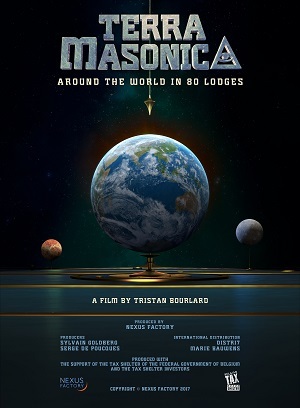 The documentary seems to try to give an idea of Freemasonry in general and (the secular branch of) Le Droit Humain in particular. This worked out fairly well. Outsiders get a fairly good idea of the subject. Freemasons (also members of other federations of Le Droit Humain) get an insight into ‘the French branch’. The DVD costs € 20,- plus shipping and is available from “Femmes et Images“. Heidle and Snoek’s book also has a ‘very Dutch’ essay. Anne van Marion-Weijer conducted an investigation within the Dutch federation of Le Droit Humain for her master’s thesis for her study at Amsterdam Hermetica. Besides a student, Van Marion is also a member of the organisation she investigated. She is editor of the periodical Nieuw Perspectief and used to be the archivist. Her questionnaire was about the fact that within the Dutch federation three different “traditions” are present, a “Dutch” (before 1995 called “Scottish”), “English” and “French” “tradition”. Van Marion starts with a general introduction. She calls the Dutch federation “special” because it works with different rites, but in fact most (all?) federations of Le Droit Humain have more than one rite. The British federation, for example, lists no less than six on their website. The general introduction mentions that of the 27.000 members of Le Droit Humain worldwide, 60% live in France or Belgium. For the Netherlands Van Marion mentions that there were at the time of writing 21 lodges, 15 of which worked in the “Dutch” “tradition”, four in the “English” and two in the “French”. Then follows more information about the different “traditions”. The author says that in the beginning, there was only the “English” tradition in the Netherlands. Nowadays only 19% works in that “tradition” and two of the four “English” lodges are so small that they have to work together with “Dutch” lodges. The author says that the “Dutch” rituals are largely based on the rituals of the Grand Orient of the Netherlands, but this is not entirely true. In an article of Jan Snoek that Van Marion mentions in her bibliography, he demonstrates that the “Dutch” rituals are actually translations of Annie Besant‘s “Dharma workings” to which adjustments have been made based on the rituals of the Grand Orient. In the general introduction to Le Droit Humain the author mentions that initially Georges Martin didn’t want ‘high grades’, but allowed them to be added to attract more members. At the time he only had the 30th degree himself (from the organisation he was initiated in himself), so a way had to be found to grand him the 33th degree in order to be able to pass it on. Then the text again focuses on the Netherlands and how the Dutch federation fared with the change of rituals from “English” to “Dutch” (first split-off), how the “English” “tradition” returned and how eventually also the “French” would be introduced. The latter is a nice story. The ritual of Georges Martin was revived at a commemoration, after which several members were of the opinion that these rituals were better than that of their own lodges. Two lodges replaced their own rituals. Then follows the questionnaire that Van Marion conducted for her thesis. All members of the Dutch federation received questions about the different “traditions”. About a third sent them back. Fortunately the proportion in “tradition” worked of the respondents was about the same as the proportions between the different “traditions” in general. The questions included were such as ‘are you aware of the different “traditions”?’, ‘were you before you joined?’, ‘did you make a deliberate choice?’, etc. The conduct was made in September 2005. At the time there were 328 members, 256 women and 70 men. From the answers of members of the “English” tradition we can see that here is the largest group who made a deliberate choice for this tradition. This could be that they were Theosophist. 30% Had no idea that there were other “traditions” before they received the questionnaire and only 6% was of the opinion that the different “traditions” was enriching. A third sees animosity between the different “traditions”. 12% Was of the opinion that they had nothing in common with the other “traditions” and 84% experience their own rituals as ‘religious’/ ‘spiritual’. Also the “French” tradition proved to be a deliberate choice. Some people even switched lodges in order to work in this rite. Even though none of the six respondents experienced no animosity between other traditions 60% said to have nothing in common with the other two. Some even expressed themselves quite sharply. None of the respondents experienced their rituals as ‘religious’, but the word ‘spiritual’ was used. From the largest group, working in the “Dutch” “tradition”, only 26% choose this “tradition” deliberately. From this group the largest part (52%) had not been aware that there were lodges working with another rite. Also the largest part of this group (50%) saw the diversity as enriching, but on the other hand, this group had the only respondents who were of the opinion that the diversity detracted Freemasonry (5%). A third experiences animosity between the different “traditions” and from this group the largest part (70%) experiences “a feeling of togetherness and sacredness / spirituality” during their rituals. After the questionnaire some more general information follows and then the author continues with testing a sociological theory on her findings. Here we can read how the original main group (“English”), was overshadowed by the “Dutch” tradition and had to play the role of “outsider”. Looking at the last few years, I think this just might become the case. Malcolm Davies tells the interesting story of an early ‘lodge of adoption’ in Den Haag (the Hague), the Netherlands. Lodges of adoption rose in France in the early days of Freemasonry. They were lodges for the wives of Freemasons, somewhat similar in organisation and workings, but adapted. The lodges of adoption worked under a ‘regular lodge’ and was headed by a member of that lodge, hence, a man. In Den Haag the situation seems to have been somewhat different. The author describes the lodge as “a mixed Scottish lodge.” That sounds as if in this case there were no diluted Masonic rituals for the ladies, but an actual mixed gender lodge. There are only records for half a year of activity in 1751. That is 5 years before the foundation of the Dutch Grand Orient of the Netherlands! There is an interesting suggestion about that in the article. In spite of the short life, the lodge was very active. Ritual and song books were published and several members were initiated. The ancient discussion about women in Freemasonry seems to have spelled the quick end of the lodge though. In 1747 the French conquered the Southern Netherlands and seem to have brought with them the idea of lodges of adoption. Willem Bentinck was an active person trying to form the Netherlands into a single, democratically ruled country and he played a leading role in the foundation of La Loge de Juste. Apparently his democratic ideas also involved the role of women. Now comes an interesting part. When you look at the history of Freemasonry in the Netherlands, you will usually learn that in 1734 the first lodge was founded, a year later the second, but it took until 1756 that 10 lodges united to form “Groote Loge der Zeven Vereenigde Nederlanden” (‘grand lodge of the seven united Netherlands’), nowadays the Grand Orient of the Netherlands. Malcolm Davies has a slightly different history though. The First Dutch Grand Master, Radermacher, died on 12 April 1748. He had been Premier Grand Maître de l’Illustre Ordre dans les Provinces Unies et du Ressort de la Généralité from June, 1735. On 24 June 1749, Joost Gerrit, (Juste Gerard) baron van Wassenaer (1716−1753) was installed as the new Grand Master. The second Grand Master, the baron, was a friend of Willem Bentinck and when Bentinck founded La Loge de Juste, the baron turned the lodge into a Grand Lodge and was appointed Grand Master. Thus he became Grand Master of both the men-only as the mixed gender organisations. This first Grand Lodge(s) went down under mismanagement and scandals and was dismantled in 1752. Four years later the (nowadays regular) organisation that exists this very day was founded with a “clean slate”. The author suggests that part of the scandal was the recognition of the mixed gender lodge which even bore the baron’s name. Then follows information about La Loge de Juste. Members were aristocrats and actors. The latter -in these days- were about the same as prostitutes. People who went to the opera even had to defend themselves and particularly state that they never came backstage. The combination of members of the lodge of high and low society of course drew attention from outsiders. As I said, the lodge has been very active for a short while. Texts were written and published, also a songbook. What was also in the making were rituals. A certain St. Etienne wrote rituals for two higher grades. It is not certain if these were ever worked. There is much information about the problematic finances of the lodge, problems which, probably in combination with some scandals, led to the demise of La Loge de Juste. Davies makes some cross-references to adoption Freemasonry in France and a few to other mixed gender Masonic-like organisation such as the German Order of the Mopses (ca. 1740 – ca. 1770). Interesting to note is that the Grand Orient de France recognised the lodges of adoption in 1774, but because later they ran the risk of loosing regularity over this standpoint, the lodges of adoption were ‘disconnected’ and the Women’s Grand Lodge of France was founded. All in all an interesting story of the problematic history of the involvement of women in Freemasonry. 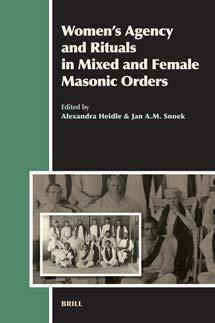 I knew about the book Women’s Agency and Rituals in Mixed and Female Masonic Orders (2008) edited by Alexandra Heidle and Jan Snoek. It is a publication of the Dutch academic publisher Brill though and these are always very expensive. This book costs € 181,- and second hand it is still very expensive. It looks like it that people somehow connected to a university can get an affordable (€ 25,-) printing-on-demand version from the publisher (via Brill.com/mybook). Hopefully these will find their way to the second-hand market some time soon. I found a way to read the book after all though. It contains essays of a variety of authors and some of these essays are very interesting. I plan to give summaries of a few of these essays and today I will start with the opening text (after the introduction by Jan Snoek) The relationships of androgynous secret orders with freemasonry. Documents on the Ordre des Hermites de Bonne Humeur in Sachsen-Gotha (1739-1758) by Bärbel Raschke. The name of the order means ‘order of the hermits of good humour’. Raschke refers to “happy hermits”. Both Snoek’s introduction to the book and Raschke’s to his own essay speak of early female involvement. Before and not long after the foundation of the Grand Lodge of London in 1717 several initiatives developed that included women. The author names a few. The Ordre des Egyptiens of Mlle de Pré (1635), the Ordre des Allumettes of Mlle d’Andelot (1642), the Ordre de l’Amaranthe of Christine of Sweden (1651), the Ordre de Sophipolis of the Brandenburg electorat Princess Sophie Charlotte (1700), the Ordre de la Mouche à Miel of the Duchess de Bourbon (1703), the Societé des Chevaliers et Chevalières de la Bonne-Foi of Mrs de Saliez (1704). These were most social / ‘salon’ clubs, but when you know that even a woman in a discussion club was extremely progressive, you can imagine was that a woman founding or even leading such a group, was even more so. According to some authors, Freemasonry was also one of such clubs for the high society. In spite of questions in the early days, the authors of the Constitutions of 1723 were clear: no woman can be allowed to join the organisation. Different solutions to this problem were thought of. The “Order of the Hermits in Gotha” “existed for an unusually long time, from 1739 to 1758.” (p. 23) Detailed records are available making this a unique case. What you see more often in similar cases is that the women behind the Hermits were well acquainted with Freemasonry. The husband and/or other men they knew were members and apparently not shy to discuss it with non-members. Princess Louise Dorothea of Sachsen-Gotha knew plenty of these early, German Masons and she had a remarkably rich Masonic library. She must have been well aware of ‘the female question’. So in 1739 the princess founded her own order and fashioned it after the Masonic order. The order was lead by Louise and her husband, Friedrich III. There were officers not unlike those in Masonic lodges which were filled by rotation. The regulations stated that all members were equal and Louise saw to it that there equal numbers of men and women member. Initiation was done by a ritual which contained a catechism, isolation and travels. The rituals were not too long and the ‘after sessions’ contained tea, coffee, games and discussions (the princess was an avid reader of philosophy). There were also table lodges with toasts and singing. Of course the article of B. Raschke is much more detailed, but here we have but one example of the many initiatives that were started around the rise of Freemasonry, in this case obviously as a reaction to it.